Beginning in my ‘tweens, once a month members of my Lutheran congregation on the hill would lovingly cook a big meal and drive from our little suburb to the big city of Columbus, Ohio. We served the patrons of Faith Mission, a homeless shelter in the inner city. The cooking part was fun, but I especially loved interacting with the patrons and seeing “the hungry” as real people. During my Junior year of high school that same Lutheran congregation gave me the opportunity to teach a 3rd & 4th grade Sunday school class. I loved opening up God’s Word with them and talking together about it in ways that made it come alive. I particularly remember teaching about Noah and the big flood shortly after our suburb had some major flooding. I cherished these experiences in my church growing up and as early as middle school, I knew I wanted to be in ministry somehow. I knew I was dearly loved by God and my church family and I wanted to spread that love to others. I wanted to be always a part of what God was doing in and through the church. I felt called by the Holy Spirit into a life of ministry. There was only one problem, the only ministry role I knew of was that of pastor. I didn’t want to be a pastor and I didn’t feel that was my calling exactly. My vision was to study Lutheran theology and church-work on an undergraduate level. Then I would go serve in a congregation. I wanted to partner with people to reach out beyond the church walls (like I had done at Faith Mission). I wanted to share God’s word with people in Bible classes and informal conversations, encouraging them in their faith. When it came time to choose a college I looked for something like a theology major or a non-pastor, church-worker study program. The Lutheran colleges I looked at during that time had nothing of the sort. I drifted for a while, starting college with no clear plan for a major or career path. After my first year of college in Kentucky, I married a pastor and moved to Indiana where he was pastoring his first church. It was early in our marriage that I found out about the Deaconess program at Valparaiso University, a Lutheran university in Indiana. I could become a trained church-worker! The pamphlet also talked about a variety of settings (churches, social service agencies, hospitals, etc) in which a Deaconess could serve. I read that regardless of the setting, the common bond among Deaconesses is a “servant’s heart,” the willingness to love and serve others as Jesus loves and serves us. 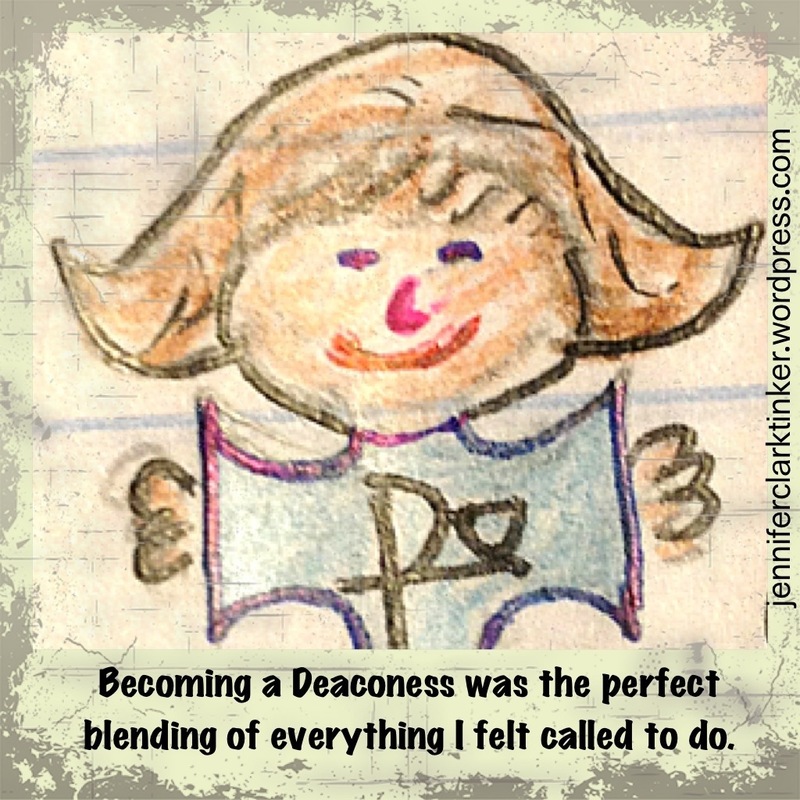 The more I read about the Deaconess program, the more I knew this was a fit for me. Not being required to be a pastor to do the above! There were some logistics involved with being able to enter the Deaconess program, but eventually I got in! Then I got my Lutheran theology major, did my required practical ministry experiences, and lived into the “sisterhood” of Deaconesses and Deaconess students around me. Finally, on August 19, 2001, at our second church in Indiana, I was officially consecrated as a Lutheran Deaconess. Between the beautiful worship service, the hog roast, and the family and friends who came from out of state, it was a grand celebration. It was both the end of a long-awaited goal and the beginning of a whole new journey. What about you? Have you ever had a vision for something you wanted to do but you didn’t see a way to do it? What obstacles have you overcome to do or be what you felt was meant for you?